Prerna Lal is licensed to practice law in the District of Columbia by the D.C. Court of Appeals, and due to the federal nature of tax and immigration law, can represent clients all over the United States and abroad. In California, their practice area is limited to federal law matters. "``Prerna was such a great source of help at a truly difficult time in my and my husband's lives. We were scrambling to file his application for LPR status before application fees increased last year, and Prerna was able to file the application on extremely short notice. Throughout the process Prerna answered all of our silliest, most paranoid questions at all times of day and night and also thoroughly prepared us for our interview. As stressful as the process was, it was such a relief to have Prerna at our interview with us-- to our relief we were approved within the next hour and a half! My husband is now a Legal Permanent Resident thanks to Prerna's help. We truly could not have done this without their help and we were happy to have such an experienced, intelligent attorney with such a great sense of humor on our side.``"
"`I'm a recipient of a rare legislation known as ‘private immigration bill' that was passed by both chamber of Congress and signed into law by the President on Dec 2012. The law granted me a U.S permanent resident status. Prerna was instrumental and played a crucial role in getting my private bill passed. She counseled me through the intense investigation by the United States Senate Judiciary Committee and the USCIS; she was available and was in constant communication with me even on weekends. She provided me her cell phone number for easy access to her because of the intense investigation and questions from the Senate Judiciary committee. Prerna demonstrated high level of professionalism and good mastery of immigration law. She went out of her way to create a petition to solicit public support in an effort to pressure the House of Representatives to support my bill. She went above and beyond to ensure the passage of my private bill and she did all these pro-bono. 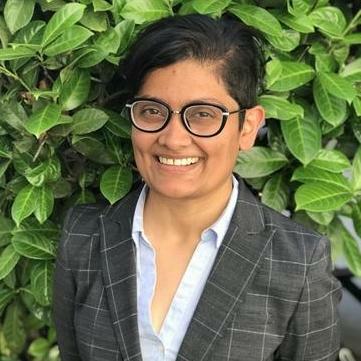 Prerna is someone who feels passionate about helping people in legal needs; she didn’t have U.S permanent resident status herself at the time, and yet she worked tirelessly to help me get a residency status. It shows the kind of person she is.``"